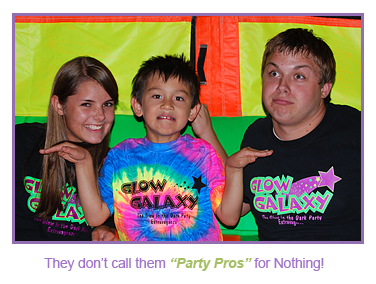 Glow Galaxy offers pre-scheduled drop in play times which do not require a reservation. These times usually offered on weekdays. Glow Galaxy open play times are for children 2 to 12. Admission is $8 per child (NOT APPLICABLE DURING PARTIES), there is no charge for adults who are accompanying a child. Socks and a signed waiver are required to play. No outside food or drinks permitted. Glow Galaxy offers following Open Play/Drop-off Play times this week. The Open Play schedule changes from week to week. Our Open Play voice message (770-368-3008, opt. 2) is updated weekly and is the best place to check open play times. If you are staying with your child during the open play, you do not need reservation and do not need to call for reservation. Glow Galaxy Drop-off play, meaning you are not staying with your child during the open play, is available at all Open Play times for kids ages 4 to 12. The cost for drop-off play is $12 per child and reservations are required: please call 770-368-3008 for reservations. Kids may stay up to 3 hours when dropped off. If you have a larger group (usually 15 or more kids) and would like to schedule a playtime outside of the Open Play times, please call 770-368-3008 to speak with someone about a reservation. Group playtimes are available with pizza and drinks or as playtime only.